If you are looking the perfect condo rental for your memorable Destin vacation, you have come to the right place! Sandpiper Cove has exactly what you’re looking for. 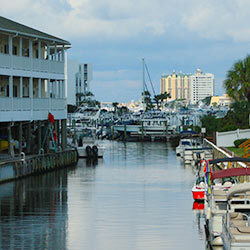 Experience the charm and character of Destin, also known as “The World’s Luckiest Fishing Village”. Wake up to breathtaking views of the emerald waters, enjoy thrilling water sports and explore Destin’s favorite restaurants, shopping centers and so much more when you stay with us. 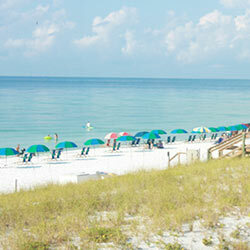 We are located in the heart of Destin, just steps from the soft, sugar-white sandy beaches of the Emerald Coast. Our community is surrounded by the best restaurants and stores and local boutiques in the area. When you stay in one of our beautifully decorated and well-furnished vacation rentals, you can rest assured we will provide you a most comfortable home away from home! Each condo is equipped with everything you need in order to have a great vacation. At Sandpiper Cove, we hold high the standards of quality, value and exceptional customer service. Our vacation planners are ready to assist you in finding the perfect vacation rental for all your needs. 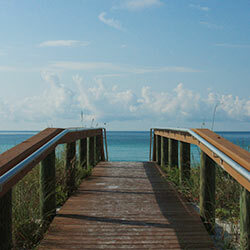 We’ll ensure your Destin vacation becomes everything you imagined and more! If you’re ready for the ultimate Destin getaway, book a stay with us today and start planning your trip! We can’t wait to welcome you to sunny Destin! Do you have pets? Be sure to ask about our pet-friendly condos! Beach Towels & Beach Blanket: A large beach blanket is perfect for families or groups, don't forget your beach towel! Sunscreen: Choose a sunscreen that has an SPF of 30 or higher, is water resistant, and provides broad-spectrum coverage, which means it protects you from UVA and UVB rays. Apply sunscreen generously before going outdoors, and re-apply throughout the day. Hats & Sunglasses: Shade your eyes from the harmful sun's rays with a hat & sunglasses. Flip Flops: Bring shoes that can easily be taken off before hitting the sand and washed off. Water Resistant Tote: Essential for holding all of your beach items, including ID and forms of payment, etc. Are you looking for a perfect beach condo for your next vacation in Destin, Florida? Our condos feature stunning beach views; just steps outside is the soft sugar-white sand and emerald-green waters Destin is known for. We have a wide selection of beach-front condos. 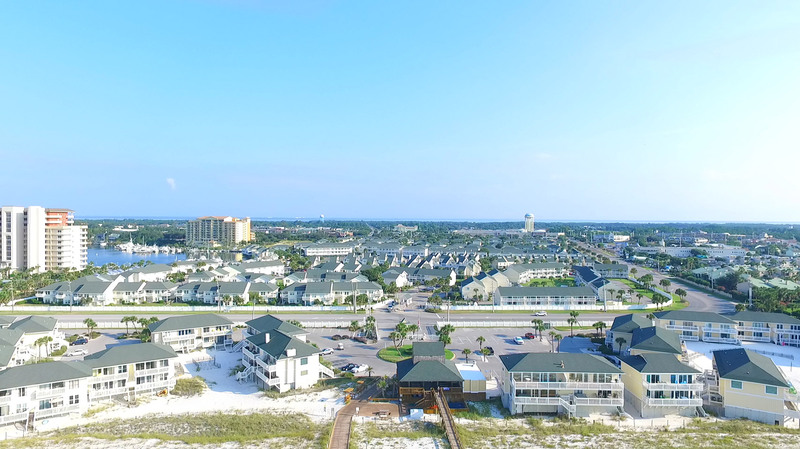 Whether you're looking for a vacation rental for a romantic getaway, family reunion or summer vacation, Sandpiper Cove has the perfect condo for you. With our 9-hole par 3 golf course, tennis courts, five swimming pools, and private beach access. 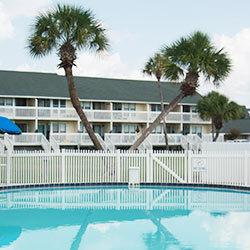 Complimentary beach chairs and umbrellas with select condos will make your stay with Sandpiper Cove one to remember. Plan your stay with us today. 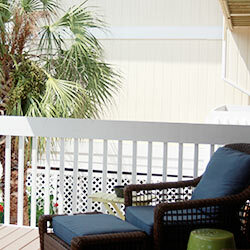 Sandpiper Cove is a pet friendly resort in select condominiums. There is a non-refundable $100 pet fee, and a 2-pet (cats and dogs) limit per unit. Pets must not exceed 30 pounds. Your pet must be on a leash at all times when outside of the condo. Please do not leave your pet unattended on the patios or balconies. Dispose of all waste in the appropriate containers on the property. Pets are not allowed on the beach or any of the pools. Please bring proof of shot and vaccine documentation as this is required when checking in. These stand-alone three-bedroom three bath villas are positioned around a charming lake. Our villas have a spacious floor plan that offers plenty of room for your entire family. There are several balconies and deck space for your morning, afternoon, and evening enjoyment. The Harbor Condominiums are conveniently located with walking distance to the expansive property. Closely located by the restaurant Louisiana Lagniappe, pool, tennis courts, canal and walking distance to the beach. Enjoy the harbor view sitting on your private balcony with amazing sunsets and occasional dolphin sighting’s. Tee it up on our nine hole par three golf course with unlimited golf rounds. We offer one and two bedroom condominiums overlooking the course. You can walk right out of your front door or back deck and start playing golf. The course and condos are located on the north side of our 43-acre resort yet only a short 10-minute walk to the beach! 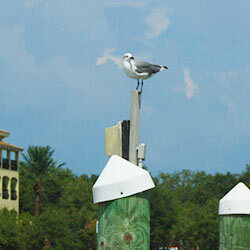 If you enjoy fishing or boating, then you may want to take advantage of our one or two bedroom condos on the canal. We have boat slips available in the canal for rent and a boat launch located on the property for your convenience. With all of the boating and activities nearby, its easy to spend the whole day on the water. The canal flows into the Harbor which leads into the beautiful Gulf of Mexico or the Choctawhatchee Bay and the infamous Crab Island! Enjoy one of our two-bedroom condominiums overlooking our on-site tennis facilities featuring six courts, three of which are lighted. Four of the courts are also designed for pickle ball. You can bring your own rackets or take advantage of our free equipment rental! Tennis condominiums also come with your own private covered parking. Are you looking for fun and exciting resort for your family vacation, beach adventure or just a quick get-away? Sandpiper Cove has numerous amenities to offer! Here's what our customers have to say about us! Cool place to stay! You can get to the beach easily, a water taxi will pick you up and there's a restaurant on-site. Worth every penny! The beach is beautiful and the complementary umbrella and beach chairs made it no hassle to have a great spot off the water. We loved every minute of our stay! Sandpiper Cove did a great job of making us feel right at home. We had everything we needed in the condo! Close to the beach with a beautiful view. Enjoyed the Par 3 golf course and being within walking distance to restaurants. We had an amazing time at Sandpiper Cove and will definitely plan on renting for our next Florida vacation. This place is a beautiful place to stay while on vacation in Destin. Title Companies or Lenders requiring Estoppel Certificates Should Contact: Kim Thomas at kthomas@sandpipercove.com or (850) 837-9121.